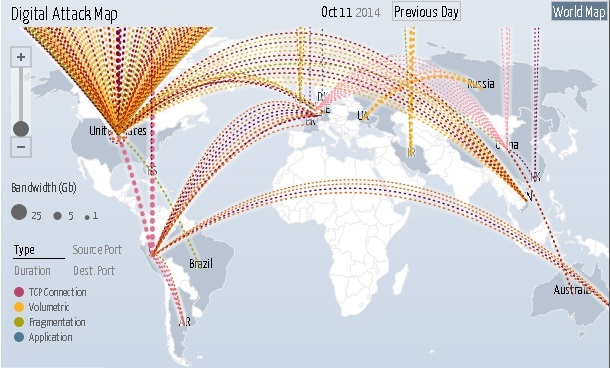 DoS and DDoS attacks in the world of Internet security is a special place. First, they do not take advantage of vulnerabilities in the software that can be fixed, and secondly, each package consisting attack looks legitimate – just the combination of a set of packets can lead to destructive consequences, and thirdly, the last time such an attack continue for hours or days, not seconds or minutes. For years, DoS and DDoS attacks are not attracted much attention, as it refers to the category of niche attacks. This situation changed dramatically in 2011, when the hacker group Anonymous chose DoS and DDoS attacks as the primary method of achieving their goals. Impressive results Anonymous attacks made such attacks in the main method of attackers, making them well-known and widely available not only for the community of specialists in the field of information security, but also for a wide range of users. Despite the fact that the activity of this group in 2012 decreased, they have set a precedent. Many groups of attackers so far adopted DoS / DDoS-attack weapons – the possibility of such attacks have attracted the attention of hackers – political activists, financially interested criminal organizations and even governments. 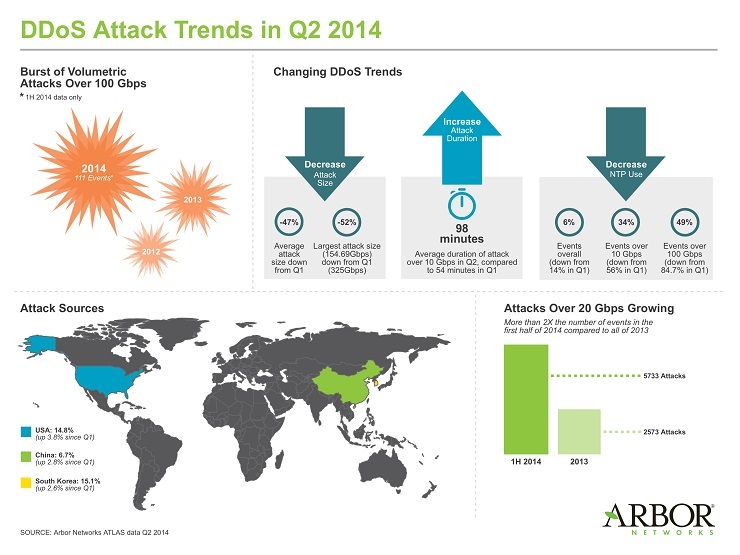 Unfortunately, this means that the DoS / DDoS-attacks remain visible and constant threat in 2013. For example, there was a new trend in cyber warfare – stable and uniform growth of complex and lengthy campaigns using DoS / DDoS-attacks. These campaigns differed multiplicity attack vectors, long and high complexity. These days are common attack with four, five or even ten-vectors, which lasted three days, a week or even a month. This new development is complicated and prolonged threats creates not prepared for this organization more difficult. Most businesses are currently not equipped to cyberwar: they do not understand the true nature of the battle and can not properly prepare. They invest in training for Pre attack, and remarkably effective after the attack. However, they have a major drawback – you can not do anything during the active phase of the attack and the resources to withstand a long, complex series of attacks. Intruders, on the other hand, are aware of this gap and use it as its own advantages. The result is a disruption in the availability of services due to attacks, even among the most respected of web services. To stop the current attacks, enterprises need to change their approach to the methods of protection. Earlier methods of protection include the preparation for the attack – the deployment of security systems and installation of solutions that reduce the consequences of security incidents, etc. After the attack, carried out an investigation, draw conclusions and make improvements to counter the next attack. That was enough until attacks were short on time. Now that the sequence of attacks continued for days or weeks, businesses need to have a strategy of active behavior during the attack. The most important component for its implementation – a dedicated team of experts who can not only react dynamically during the attack, but also to take counter-measures to stop the attack and then draw lessons for the future of the information collected. Usually, businesses can not contain the required number of specialists required class for a team, given that attacks could be only a few per year. Therefore, they have to look outside the company of competent professionals – experts in the field of information security to other companies and government agencies. In this case, the company can not always find in the market and meeting the requirements of the service team of professionals to enhance their security. The sophisticated long DoS / DDoS-attacks, undoubtedly dangerous, but they provide some very important features. Throughout the attacks on information security experts can gather real-time information about the typical attacker – who is it and what are the tools used. It gives businesses the ability to defend themselves during attacks, deploy countermeasures against intruders and completely stop them.